A Native-American male was arrested in South Florida on Friday morning in connection with the rash of suspicious packages sent to prominent Democrats nationwide, law enforcement sources confirmed to Fox News. Sayoc is Manager for Native American Catering & Vending. 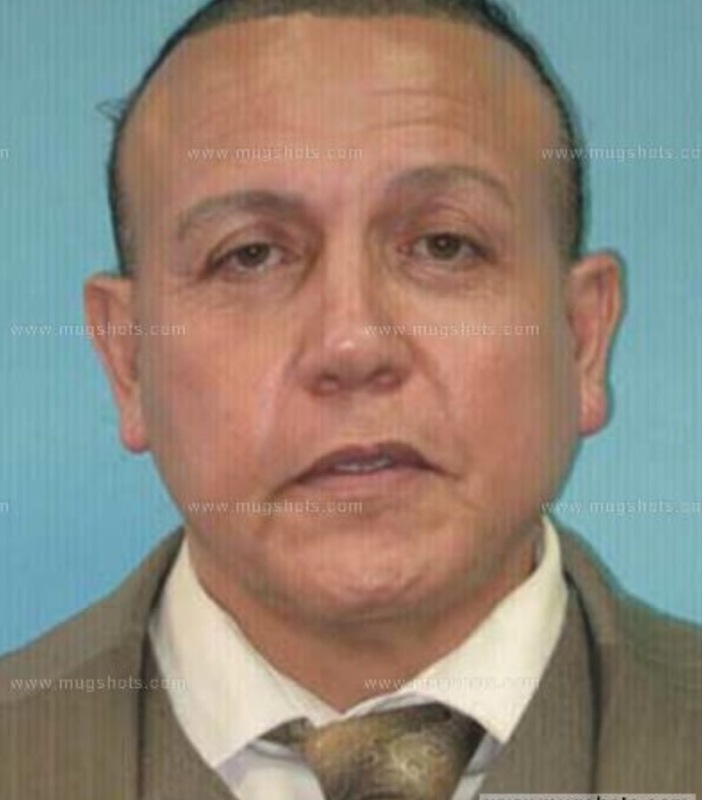 Cesar Sayoc was arrested in 2002 for bomb threats. Court Case No. : F-02-024800. He was given 1 year probation. Federal authorities had been focusing on Florida as the location where the majority of packages originated. 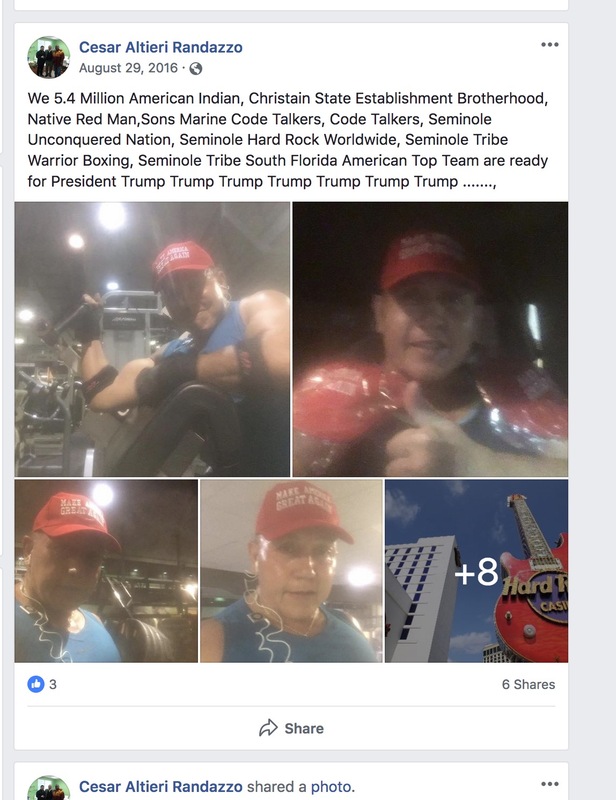 Sayoc identifies himself as Seminole Indian and worked with the Seminole County Hard Rock with events and entertainment. At least 13 suspicious packages have been recovered since Monday, when an explosive device was placed inside the mailbox of liberal billionaire George Soros. Since then, at least nine other vocal Trump critics — including former President Barack Obama, former Vice President Joe Biden, former Secretary of State Hillary Clinton, California Rep. Maxine Waters, former Attorney General Eric Holder, New Jersey Sen. Cory Booker, actor Robert De Niro, former intel chief James Clapper and former CIA Director John Brennan — have been targeted in what appeared to be a mail bombing campaign. A thirteenth package intended for Sen. Kamala Harris, D-Calif., was intercepted in Sacramento Friday, a law enforcement source confirmed to Fox News. 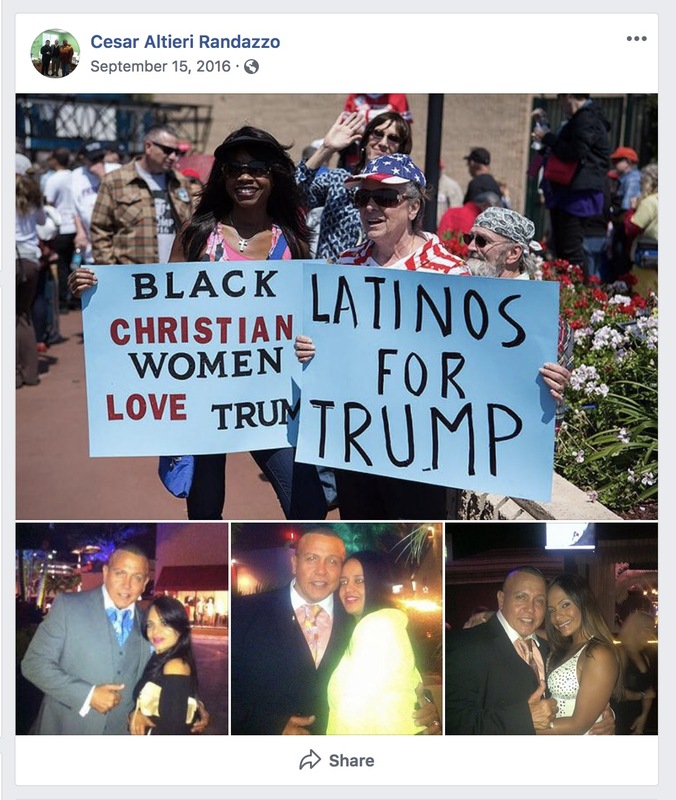 Sayoc, a former New Yorker who now resides in Aventura, Florida, is a “promoter” and “booking agent” for male stripper and burlesque shows, including touring dance troupe Chippendales, according to multiple reports. Ohio event promoter Tony Valentine told The Washington Examiner Sayoc was also periodically hired to strip in the 90s. Photos and videos posted on what is believed to be Sayoc’s social media accounts in 2016 show the Florida man attending pro-Trump rallies, where he often sported a red MAGA hat and — at times — posed with Trump-Pence campaign signs. Sayoc is a registered Republican in Miami-Dade County and listed as an “active” voter, according to Florida voting records. 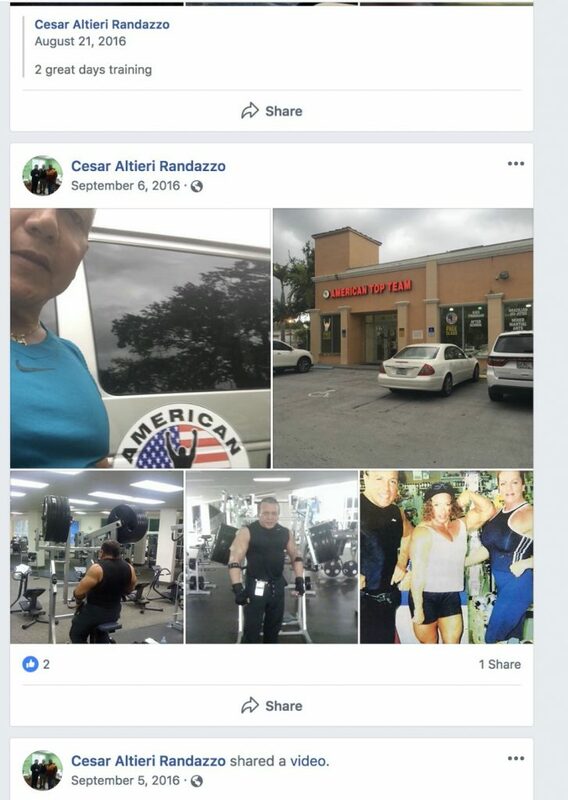 Court records show Sayoc has a history of arrests, notably a 2002 charge of making a bomb threat, which allegedly put him on law enforcement’s radar. 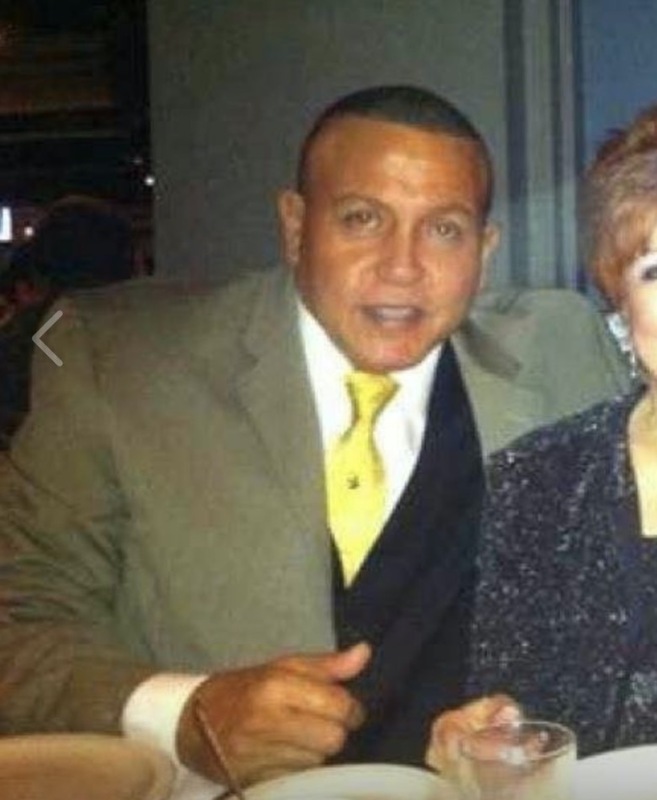 Sayoc was also convicted in 2014 for grand theft and misdemeanor theft of less than $300, and in 2013 for battery. In 2004, he faced several felony charges for unlawful possession of a synthetic anabolic steroid often used to help build muscles. How did law enforcement officials catch him? Investigators examining the explosive devices sent to high-profile Democrats focused on forensic clues to help nab the suspect, gathering fingerprints and DNA evidence while tracking the origin of the packages and the components used to make the bombs. A government source told Fox News Thursday stamps on several of the suspicious packages were being analyzed by the FBI in Quantico. The FBI also reached out to retailers to zero in on where the elements of the bombs were made and where they were sold. “[The FBI] uncovered a latent fingerprint from one of the envelopes containing an IED that had been sent to Congresswoman Maxine Waters. We have confirmed this fingerprint is that of Cesar Sayoc,” FBI Director Christopher Wray said during a Friday afternoon news conference.